This is probably going to get more attention than it deserves, but apparently Google is announcing their own IM service tomorrow, and it uses the Jabber protocol. 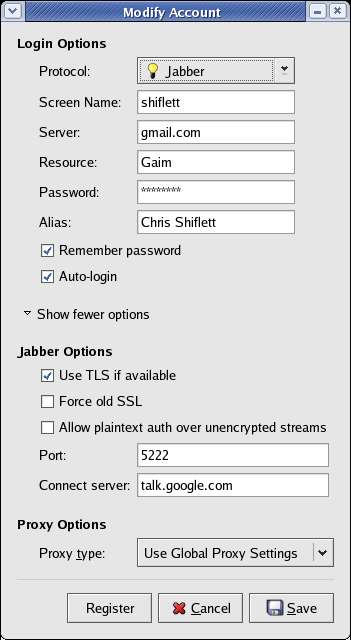 Here's hoping this eliminates the reliability problems I've had with Jabber. From my experience, it is second only to MSN Messenger for worst reliability. 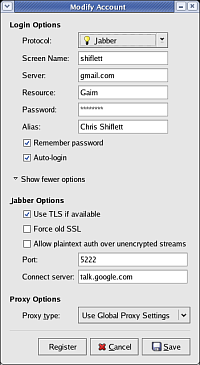 Update: Now it's official: Google Talk. Apparently it's only for Windows, but they seem to be pretty agreeable to people using other clients.